Real estate investment sales in Singapore dropped 21% QoQ and 52% YoY to $5.3b in Q1 2019, according to Colliers International’s latest market research report on real estate. The commercial sector slowed down from a strong Q4 2018, which was boosted by big-ticket office acquisitions such as Robinson 77 and 78 Shenton Way. 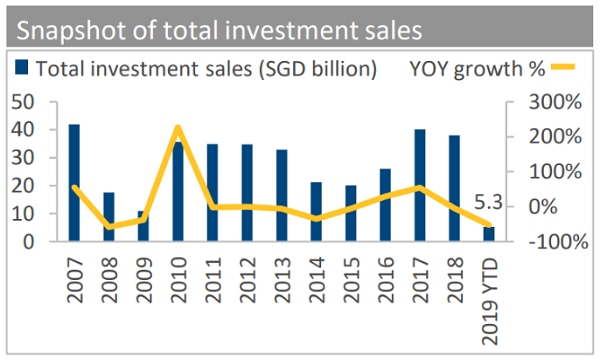 As a result, total commercial investment sales crashed 54.5% QoQ to $1.1b in Q1 2019. On a YoY basis however, commercial investment sales ballooned 307% in Q1 2019 on a low base. The commercial sector accounted for 20% of total investment volume in the quarter. According to the report, Colliers Research forecasts that more commercial deals could be transacted in the coming quarters, potentially taking investment sales to $7.9b for the full-year 2019, which is up 27% from 2018. “We expect favorable fundamentals in Singapore office market, steady office rental growth and supply shortfall over 2019-2021 to support investors’ interest for commercial properties. Institutional investors and REITs should remain active in commercial investment sales through their strategic acquisitions and divestments in the next few years,” Jerome Wright, director of Capital Markets & Investment Services at Colliers International, said in a statement. Meanwhile, the residential sector accounted for $1.7b or 32% of the total investment sales in Q1 2019, plunging by 82% YoY on declines across all sub-segments, including collective sales and Good Class Bungalows, as the July 2018 cooling measures continued to bite. On a QoQ basis, residential investment sales in Q1 2019 rose 48.2% thanks to healthy public land sales. Two residential Government Land Sales (GLS) sites at Tampines Avenue 10 and Kampong Java Road, were amongst the top five largest transactions during the quarter, the report noted. Despite the more sluggish private residential investment sales, Colliers Research predicts that volumes could start picking up from the middle of 2019, including possibly more activity in the collective sale market towards the end of the year as sentiment improves. Meanwhile, the report noted that amongst the five largest transactions in Q1, four wer GLS deals. “Public land sales booked a bumper quarter, surging 17-fold QoQ and 32% YoY to $2.1b. 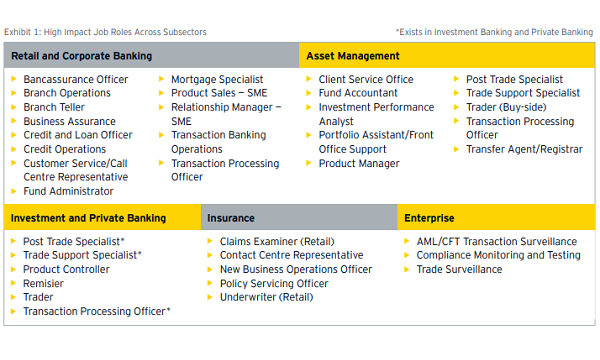 They accounted for 40% of total investment sales in Q1 2019,” Colliers added. A total of seven GLS sites were awarded in the quarter, with the largest being the Pasir Ris Central site which was tendered for $700m. The winning bid for the Club Street GLS site also set the record price for a 99-year leasehold hotel site. Colliers Research expects public land sales to maintain its momentum as attractive sites garner healthy interest. In the industrial sector, total investment sales doubled YoY to $555m in Q1 2019, which was mainly attributed to SGRE Banyan’s acquisition of warehouse facilities on Jurong Island for $228m. On a QoQ basis however, investment sales plummeted 73.3% as Q4 2018 was boosted by ESR-REIT’s acquisition of Viva Industrial Trust’s properties following their merger. Apart from institutional investors and REITs, Colliers Research also anticipates a rising interest from manufacturers looking to acquire industrial properties for business expansion plans. The attractive yields of industrial assets will remain appealing to qualified investors as the underlying leasing market bottoms out. For the whole of 2019, total investment sales volume is estimated to be $38b, which is on par with 2018’s level.